I’m giving a talk tomorrow in my advisor’s little seminar and I’m definitely doing that silly thing where I’m too unprepared and panicky about it, and hence rather than preparing I’m procrastinating (because the thought of preparing makes me realize how unprepared I am). That’s a universal problem. My specific problem is that this paper by Olshanskii is SO COOL and has all the things I like (functions between graphs, some combinatorics, some algebra, lots of pictures) and yet the talk I’m preparing is SO BORING. Somehow I sucked all the fun out of the paper and now my talk is joyless, which is exactly what you *don’t* want to do when teaching or talking. It’s like listing all the ways to integrate functions without ever saying why integration is so awesome. 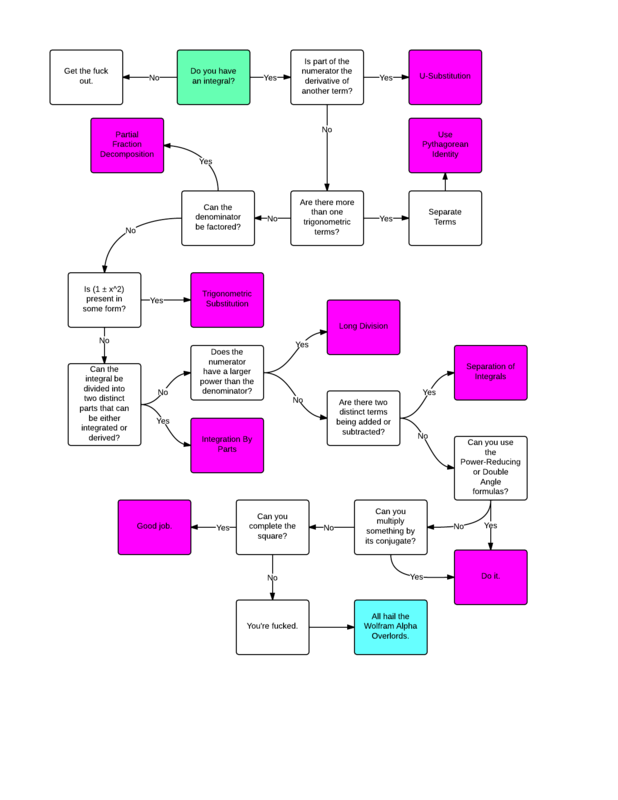 Giving someone that flowchart above without a picture of an integral. So instead, I’ll blog about a food! 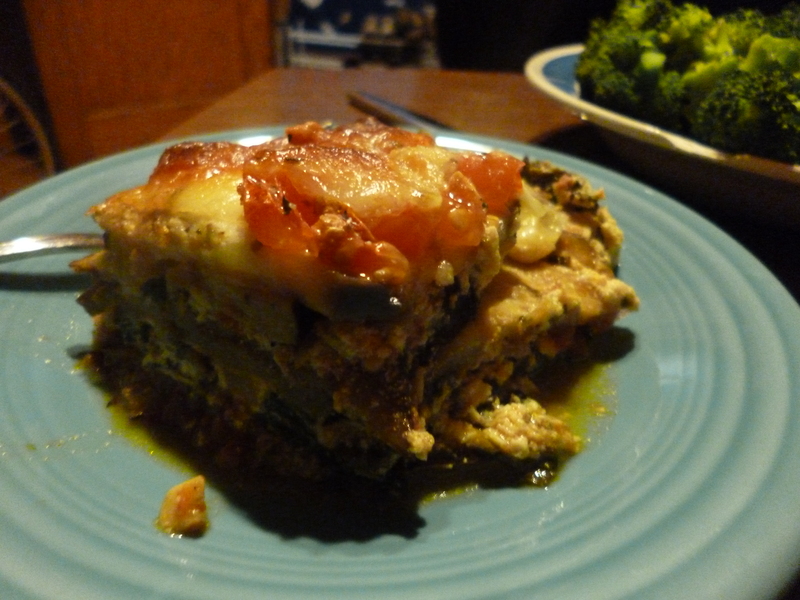 Inspired by my friend Ellie, I tried to make eggplant lasagna. It’s nice because my former-Paleo SO likes to avoid pasta, so I have yet to make regular lasagna (which my wonderful mom used to make all the time). Yknow how to make these beautiful red fruits seem grosser? Say the name aloud with a stress on the first syllable. TOE-mato. Ugh. Just imagine toenailmatoes. I don’t buy tomato sauce, though it seems so convenient and I’m all for convenience! I just know I’ll never finish a jar before it goes bad and I hate throwing food out, while diced tomatoes or whole tomatoes in a can last approximately forever. 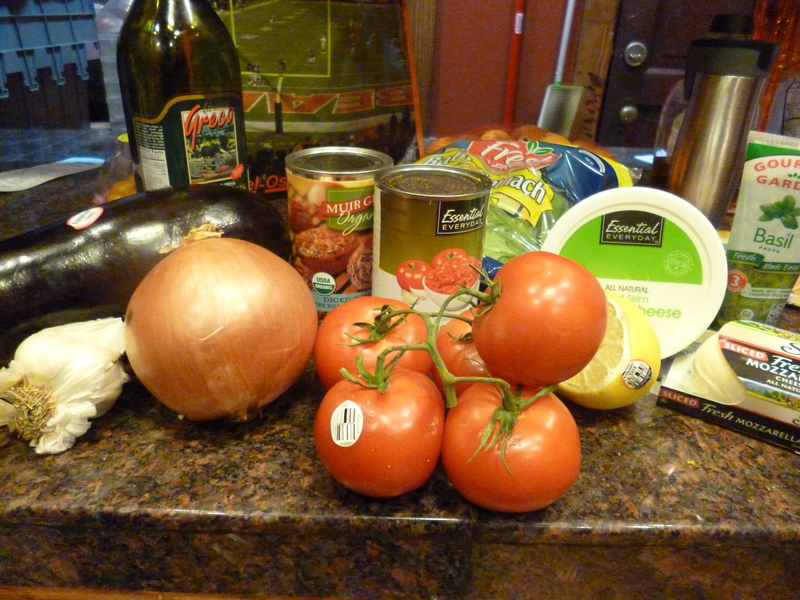 So the first thing to do is make some tomato sauce. 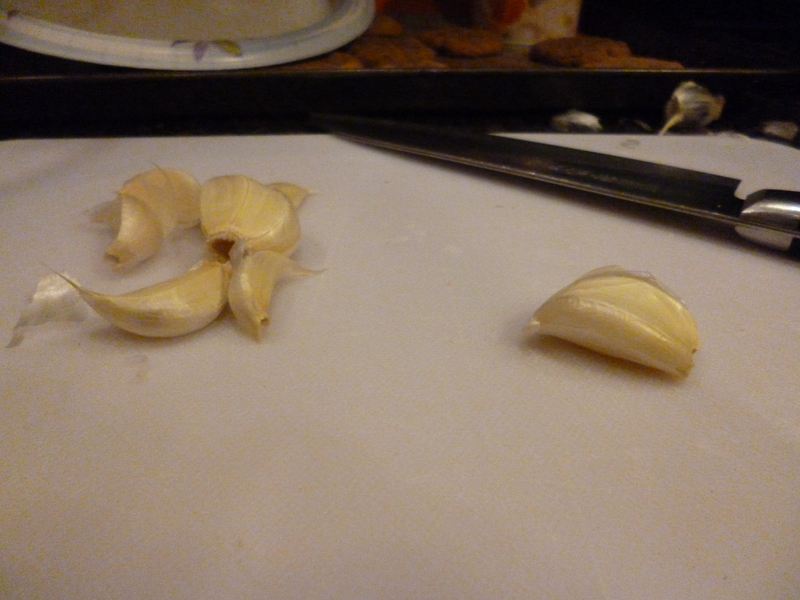 Step one: dice up some garlic. 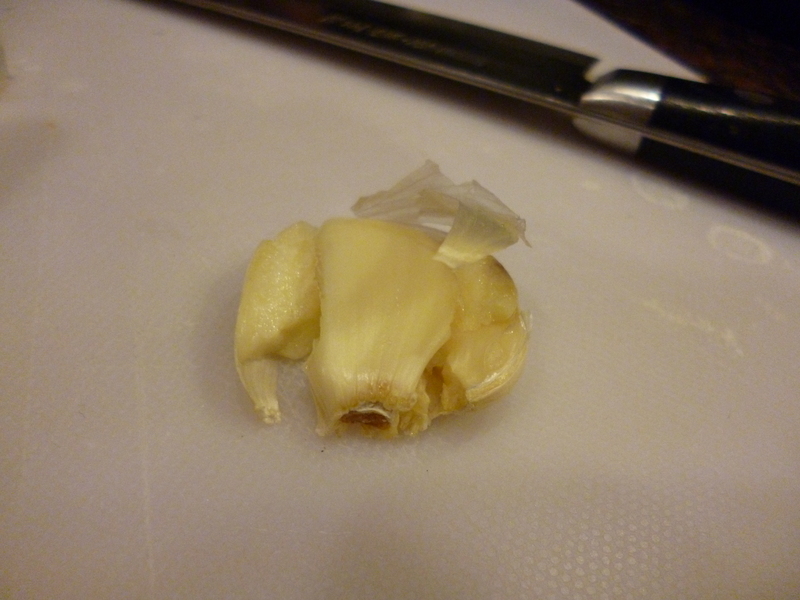 If you have a garlic press, good for you! We got one for Christmas and I promptly broke it. I pushed too hard? 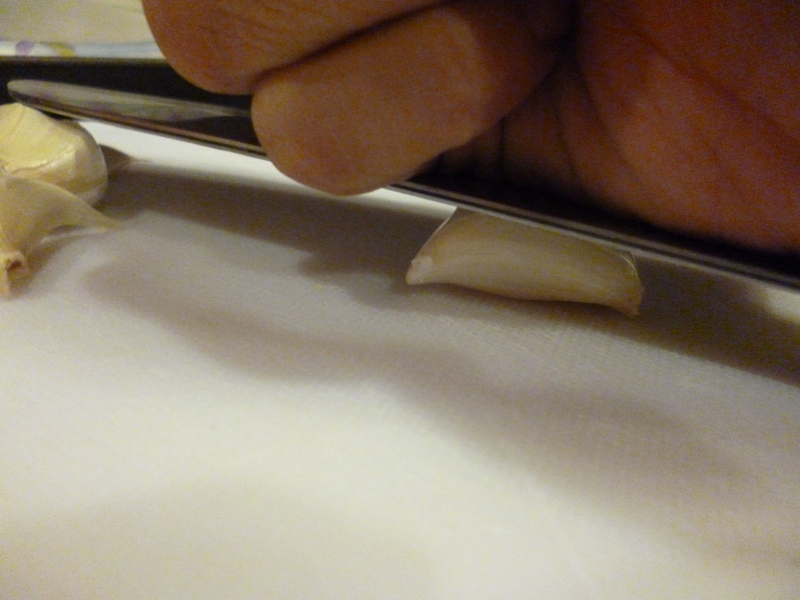 Here are some up close photos of how to peel garlic: press the flat side of a blade against the clove, and the peel will pop right off. 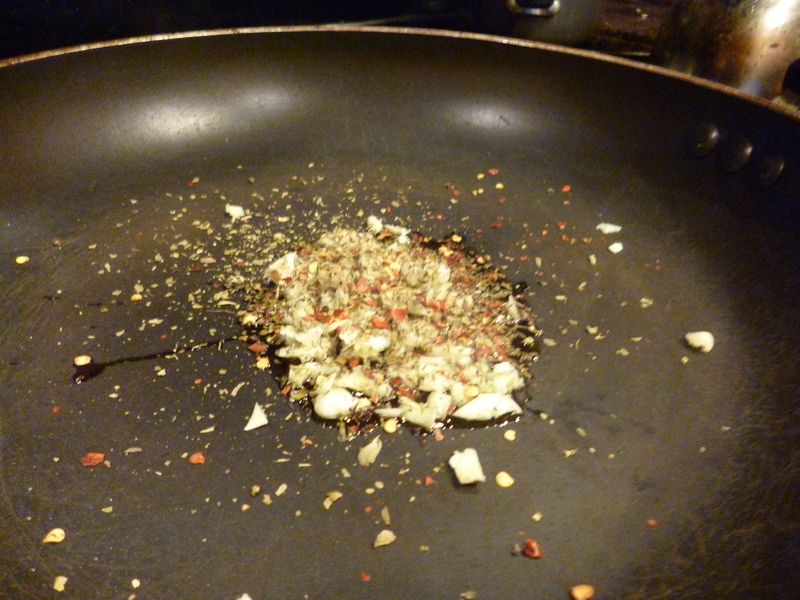 Then start to fry up the garlic in a little bit of olive oil until fragrant. I added some oregano, basil, and red pepper flakes. 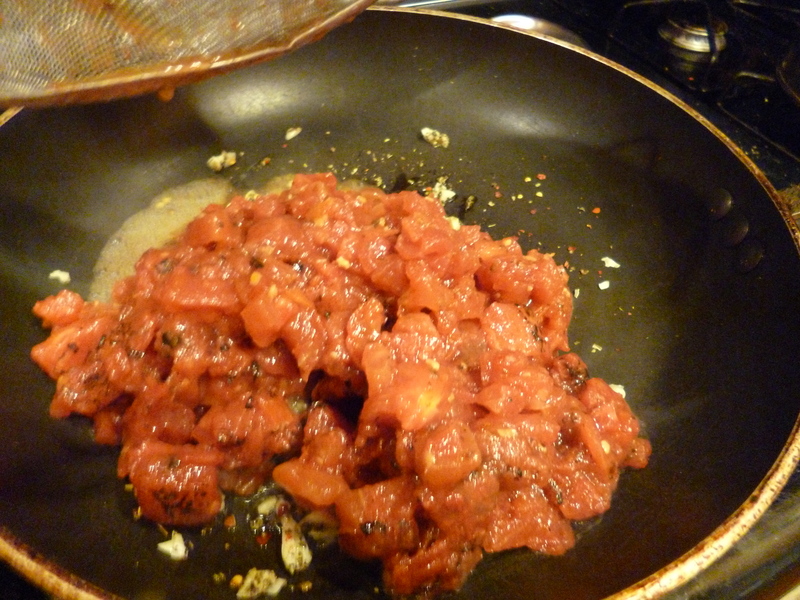 Pour in a can of diced tomatoes (I like the fire roasted ones sometimes). Though portable, I wouldn’t take this all the way to SAUCE-alito. I mean, it’s probably too much liquid for the airline and CA is far. 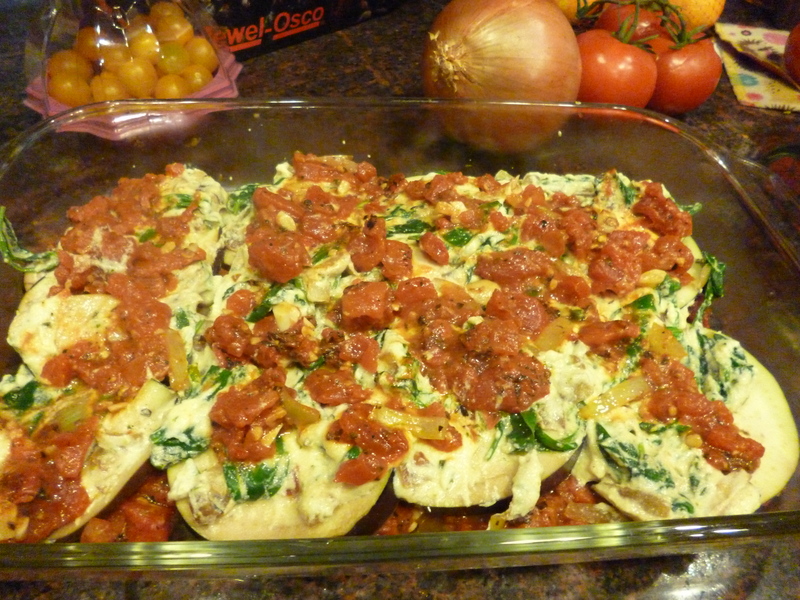 Season with some salt and pepper, let it simmer for a bit while you slice up your eggplant. Have you stopped by the waffle factory lately? I hear there’s a lot of great things coming out of that EGGoPLANT. Some people recommend salting your eggplant for awhile to leach the bitterness out, but I’ve never had a problem with bitter eggplant. If you want to do that, slice em all and throw em in a strainer and sprinkle a bunch of salt all over that for half an hour. I have zero patience so I also skip this step. 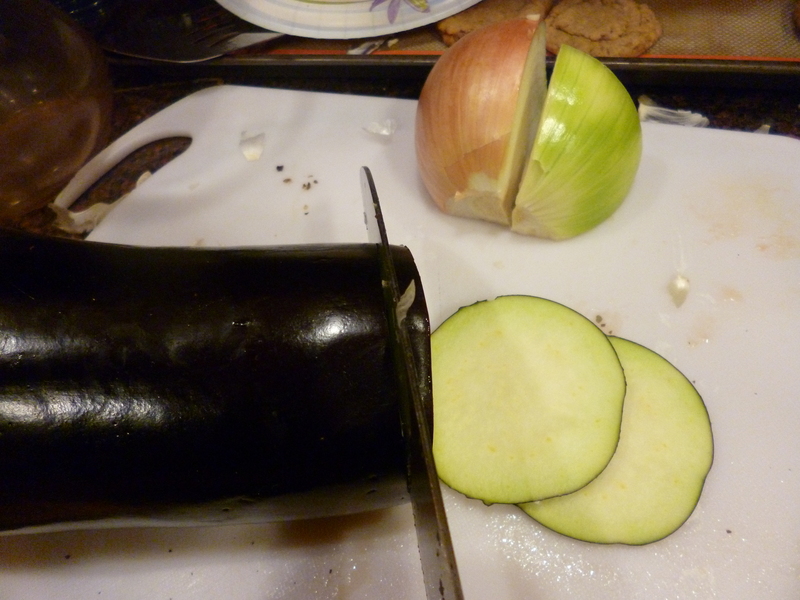 Another good step: roast the eggplant ahead of time (see the zero patience thing). Roasting eggplant here. I was thinking of a lemon pun BUT THEN I DISCOVERED THAT LEMMINGS ARE SO CUTE. CLICK ON IMAGE. Now that your sauce is all simmered, give it a taste. Apparently I added some onion to it at some point (how about that!) and a squeeze of lemon (never hurts). I also like adding a bit of sugar to combat the acidity/bitterness of tomatoes. 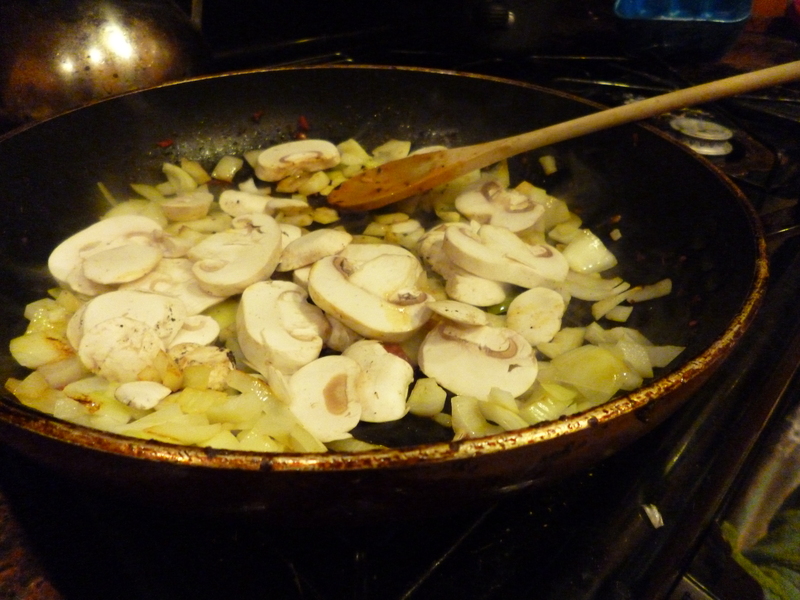 Throw the sauce aside, and soften some diced onions in your pan with some olive oil. Then throw in some sliced mushrooms (I’m lazy and buy the pre-sliced ones which always say you should wash them, which makes me think that’s beside the point of buying them presliced). 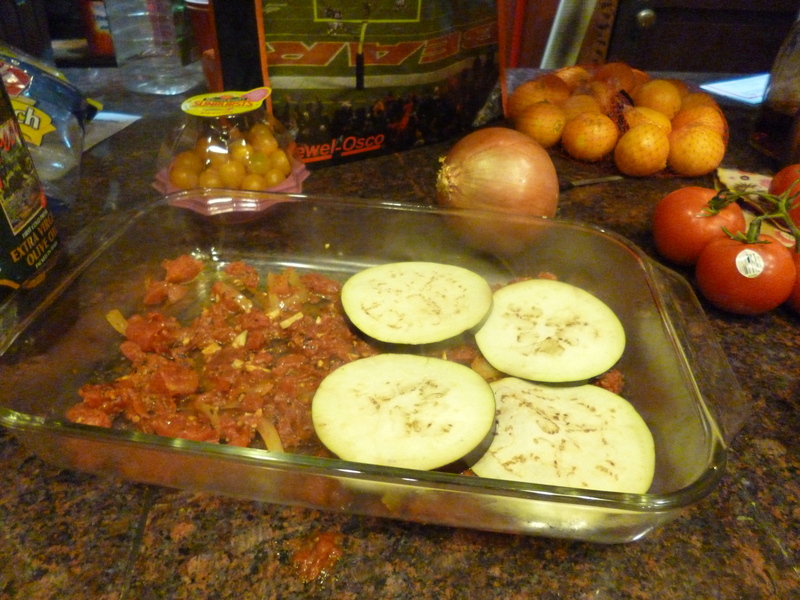 You could also put in whatever veggie here: zucchini, yellow squash, red or green peppers, etc. etc. 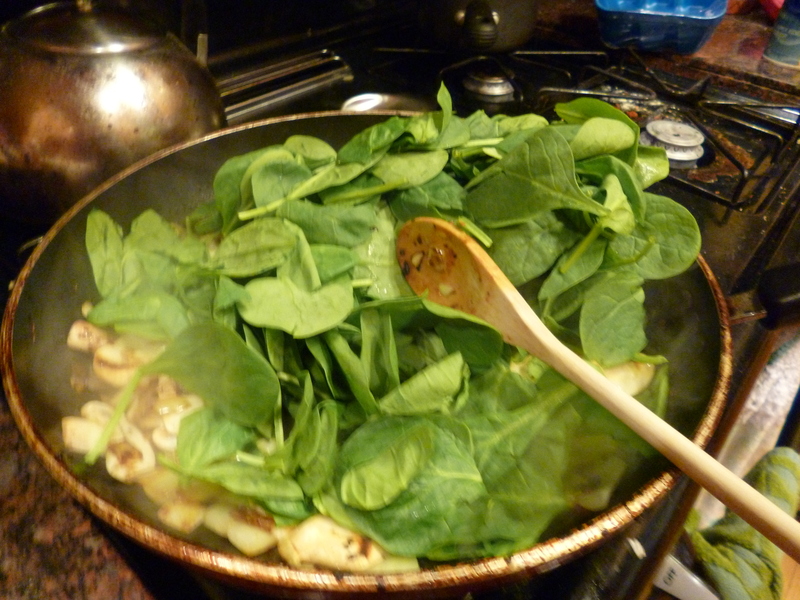 Once that’s cooked, throw in some spinach. I grabbed all the cheese-like products in my fridge, which was: half a ball of mozzarella, a pack of cream cheese, some shredded parmesan, and some greek yogurt. 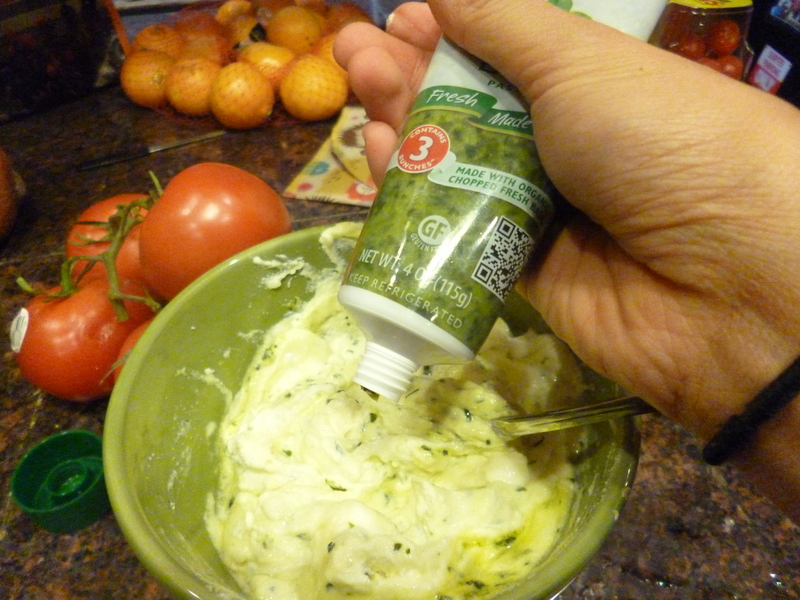 I mixed it except for the mozzarella with two beaten eggs, some olive oil, and a tablespoon of this weird basil paste I bought. 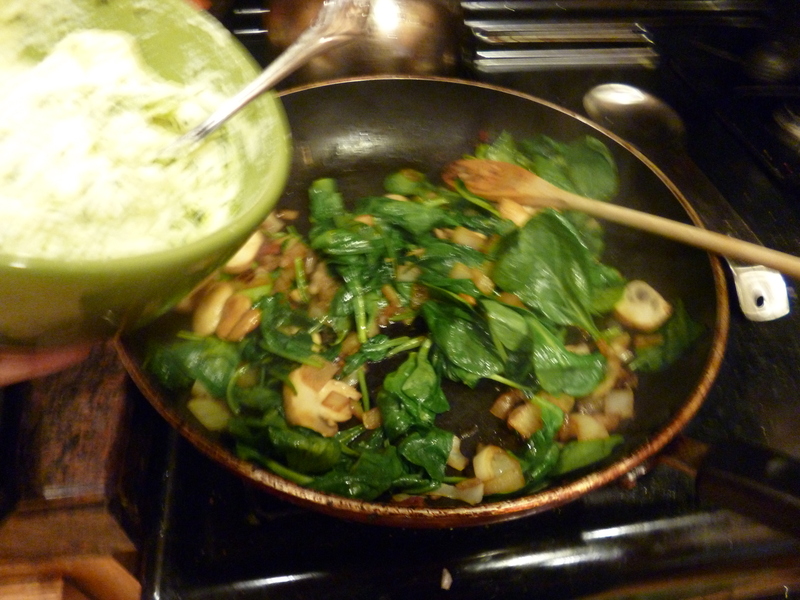 Then mix your cheese mixture with the veggies in the pan. And layer tomato sauce, eggplant, cheese mix, tomato sauce, eggplant, cheese mix, tomato sauce, and top with sliced fresh tomatoes and mozzarella cheese. Bake at 350 until cheese is bubbly, 20 minutes or so. 1. 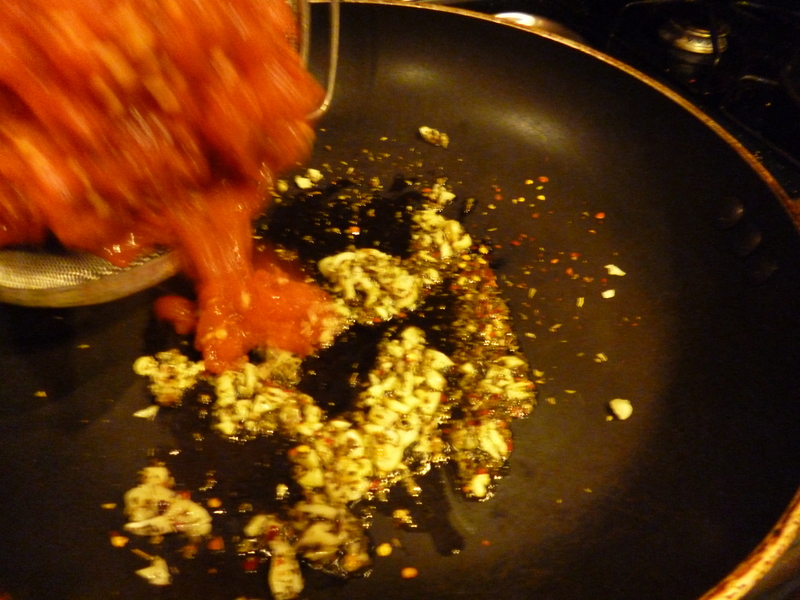 If you’re making tomato sauce, make it. Garlic and onion in olive oil until soft, then add a can of tomatoes, and spices (oregano, basil, red pepper flakes, salt, pepper) to taste. Let simmer while you do other things. 2. 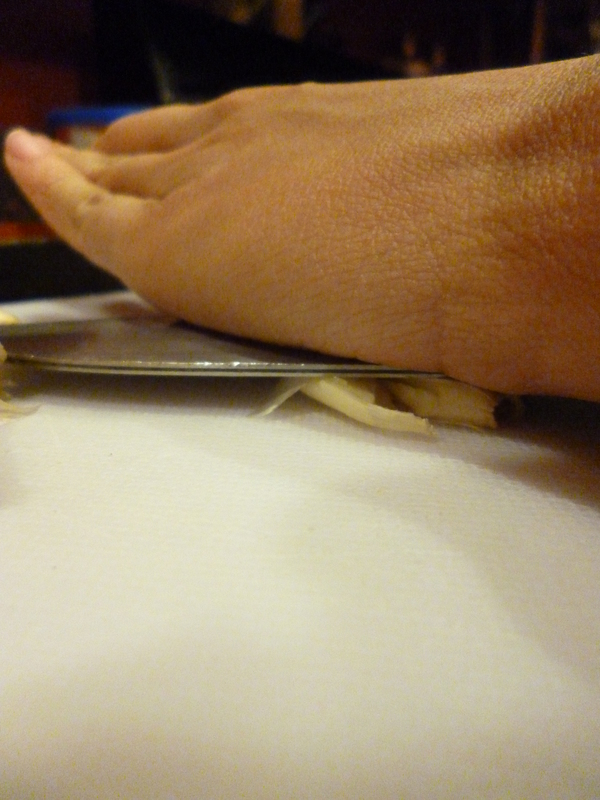 Slice the eggplant. If you prefer, salt it to eliminate bitterness. 4. 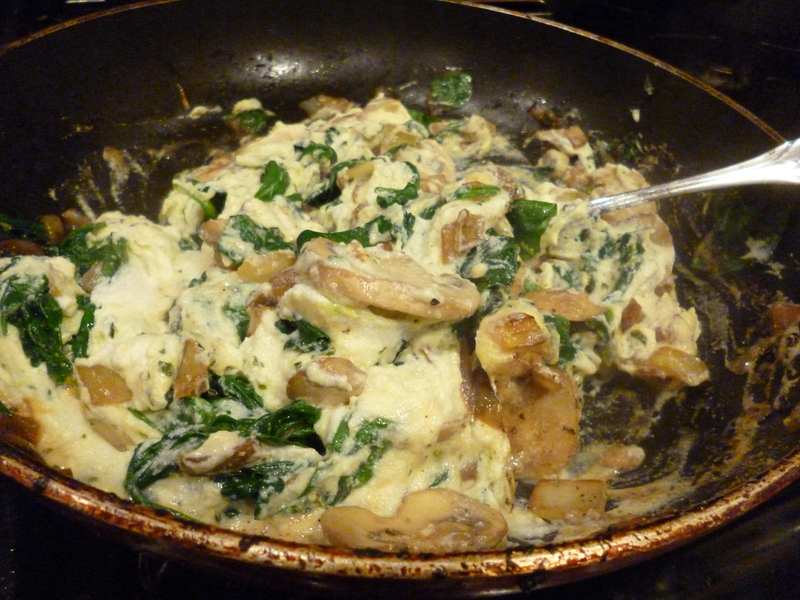 Make the cheese mix: beat eggs with some olive oil and cheeses. 5. Layer tomato sauce, eggplant, veggies, cheese, etc. 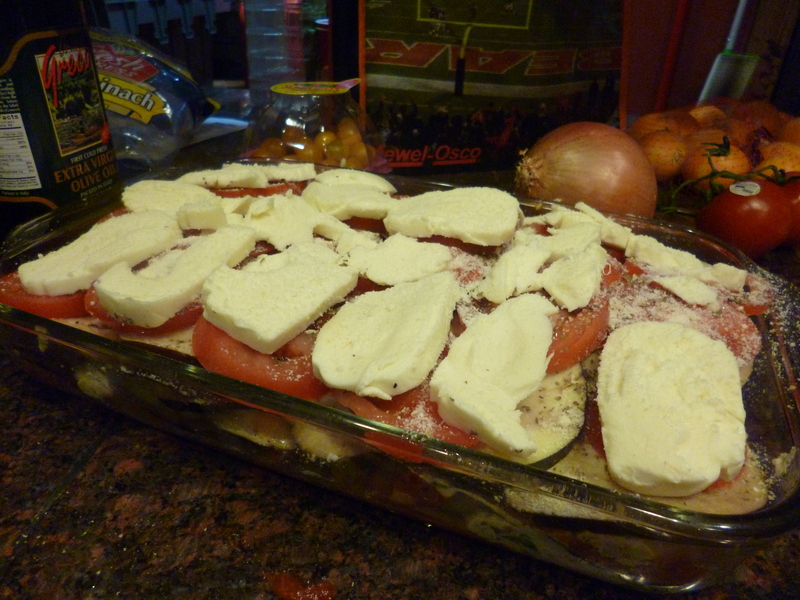 Top with fresh tomato slices and slices of fresh mozzarella. 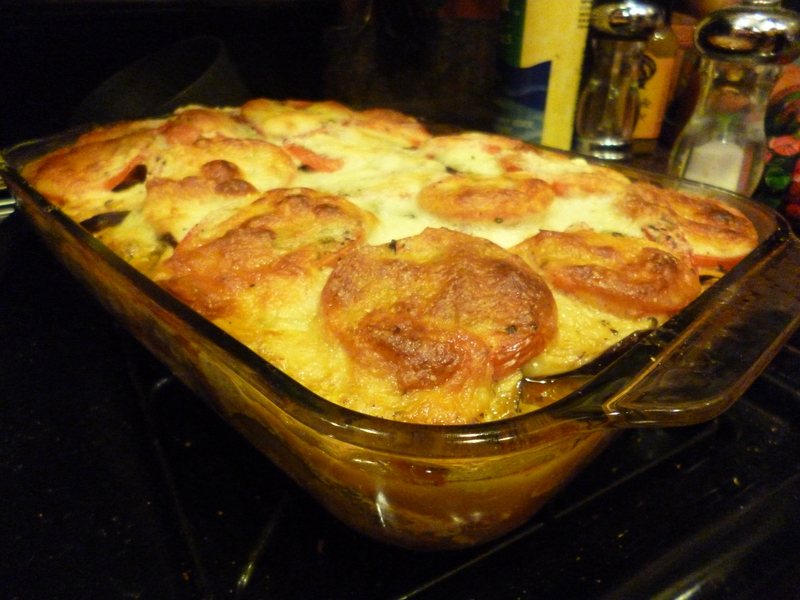 Bake at 350 for 20-30 minutes, or until cheese is bubbly and melted. I’m just going to wake up at 6 tomorrow and write my talk again and make it more exciting.